John McCall Architects shortlisted for two national awards. 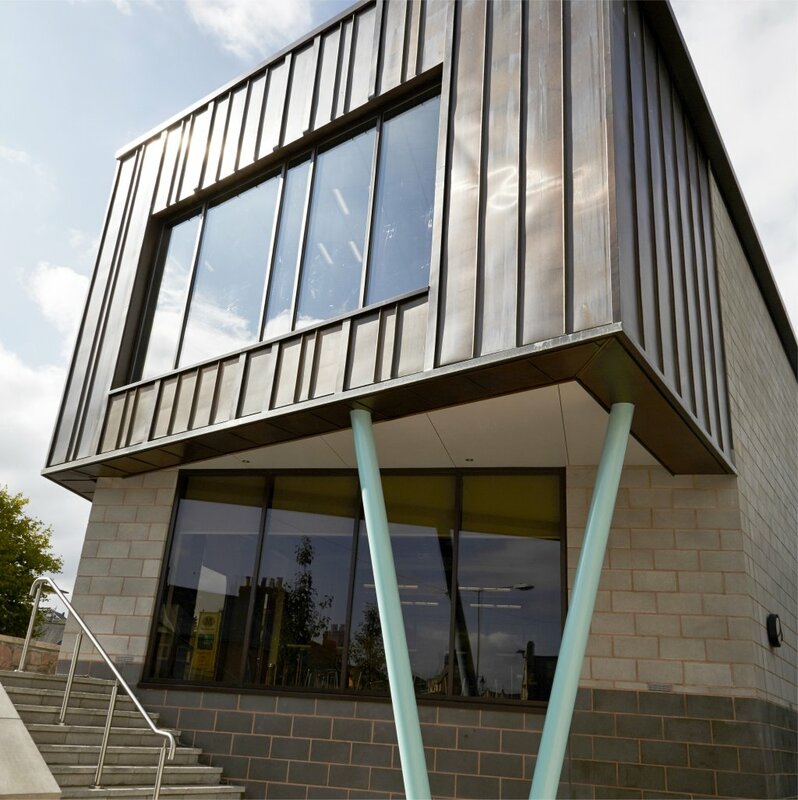 Our designs for an environmentally friendly youth enterprise centre and college have been shortlisted for two national awards. The £2.2m project in Denbigh, North Wales for social landlord Grŵp Cynefin has been recognised by judges of the CIH’s UK Housing Awards and the Welsh Architecture Awards. In the UK Housing Awards, it has been shortlisted in the Outstanding Development of the Year category. Meanwhile, judges of the Welsh Architecture Awards will decide the winner in the next few months. The copper-clad facility on redeveloped brownfield land provides support for young people in learning, skills development and securing work. 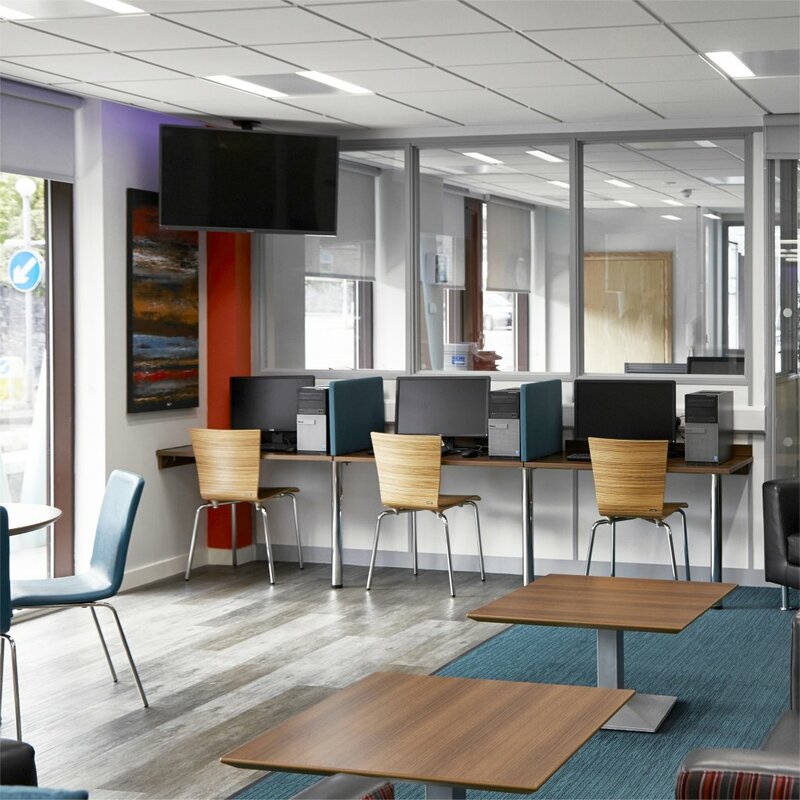 An education space for Llandrillo College was also included in the designs to inspire people into further education. The Youth Enterprise Centre for 11 to 25 year-olds provides vocational skills, access to business advice services, formal and informal learning facilities along with a gateway to other youth services such as counselling and mentoring support. A concrete faced supported housing block next to the centre contains six self-contained apartments and staff sleep over accommodation. The two blocks are linked by a double-height glazed atrium that contains the reception for the building. Director at John McCall Architects, Carl Grannell, said: “Being shortlisted for two national awards is a great achievement and recognition for the vision and hard work of all involved in the project. Renewable energy and sustainability are at the heart of the designs. Recyclable materials were used throughout the build process while solar power, grey water recycling, high levels of insulation, LED lighting and energy efficient mechanical and electrical services were installed. Concrete external areas were replaced with vegetation and trees to support wildlife. High levels of natural daylight flood the building through sun-pipes to create an uplifting atmosphere. The centre is aiming to recycle 100% of waste in line with the Welsh Government’s targets. 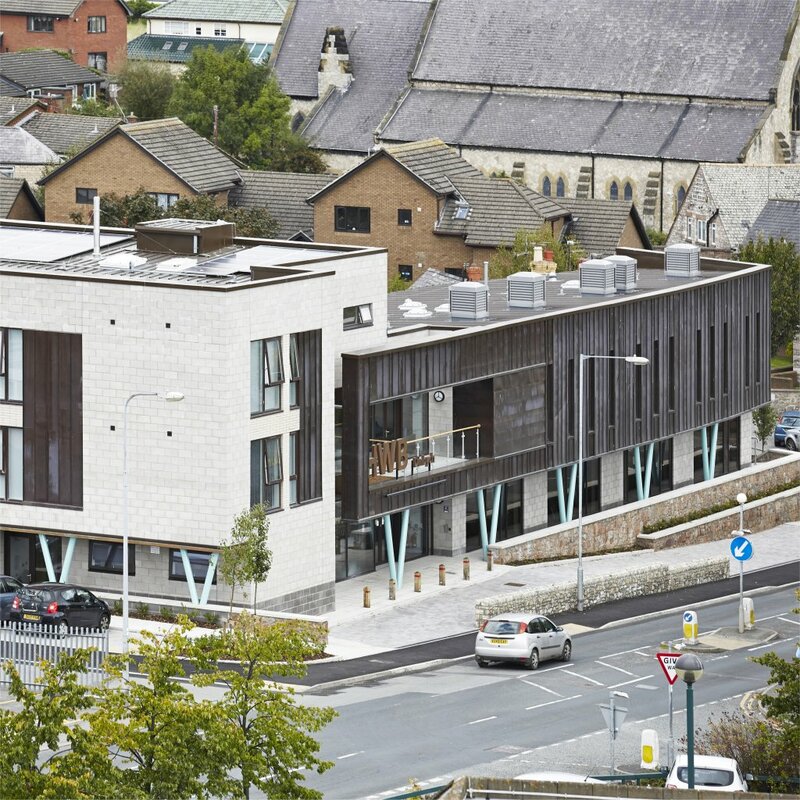 It achieved an ‘excellent’ BREEAM rating for energy use and ‘very good’ for the overall scheme. 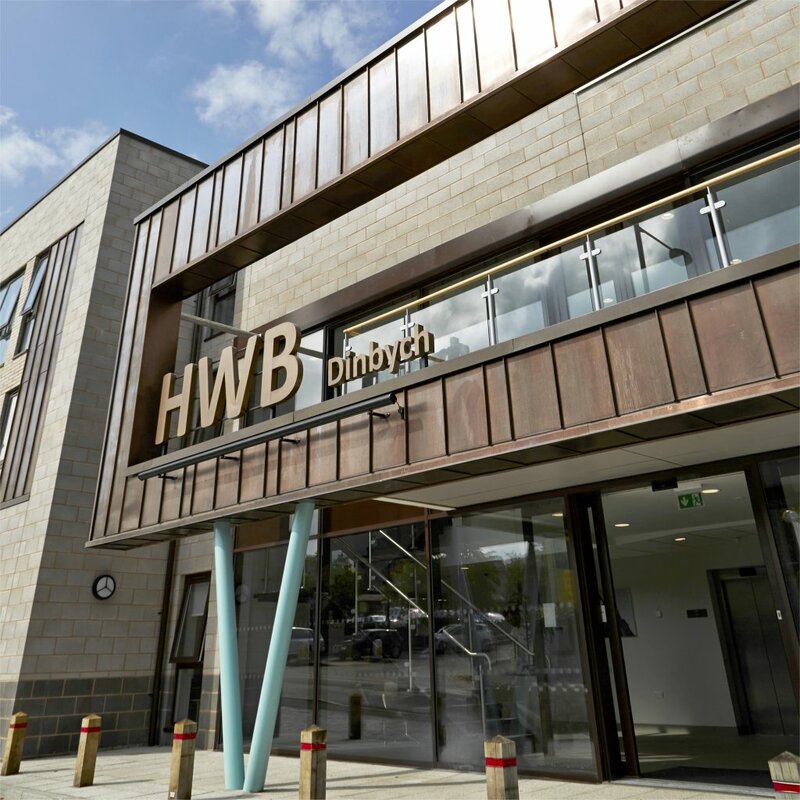 The scheme was financed by a People and Places grant from the Big Lottery Fund and funding from organisations including Denbighshire County Council and the Welsh Government.